When most people think of con men, the first name that comes to mind is Charles Ponzi. Widely known as the man who gave his name to the classic pyramid scheme, Ponzi raked in roughly $20 million (equal to roughly $225 million in today’s dollars) for almost a year before everything collapsed in 1921. One author, however, is hoping to change that association—and once you read Empire of Deception (Algonquin Books, 2015), I’m sure you’ll agree: Charles Ponzi was nothing compared to Leo Koretz. Ten years before Ponzi’s scheme hit the papers, another man was busy perfecting his own version, but on a much bigger scale. Leo Koretz, a small-time lawyer turned big-time con artist, became a multi-millionaire by convincing a number of rich people (including his own family) to buy large amounts of stock in the Bayano Trust Company, a fictitious oil and timber company with supposedly huge land holdings on the Bayano River in Panama. Amazingly, Koretz never asked for a penny—not directly, anyway. Instead, his friends begged him for the chance to invest: “Many a morning I have found wealthy friends and total strangers waiting to beg that I take and invest their money…they camped at the curb outside my home, and at my doorstop,” Leo told the Chicago Daily News. His mix of feigned reluctance in selling stock, reverse psychology, handpicking investors and downplaying company profits (while clearly demonstrating his own wealth) convinced hundreds of upper-class Chicagoans that Koretz could make them multimillionaires overnight. Instead, they made him rich beyond his wildest dreams: from 1911 to 1923, Koretz raked in over $30 million from his investors, roughly equal to a staggering $400 million in today’s currency. Koretz used this windfall not only to pay back his investors’ handsome dividends (it was a “rob Peter to pay Paul” scheme, after all), but to take care of himself and his family. Thanks to his investors, his wife and son lived in the lap of luxury in a 22-room mansion on Sheridan Road in Evanston, IL next to Lake Michigan, with two Rolls-Royce limos and a staff of servants. Their lives were a whirlwind of lavish dinners, social clubs, and the best of everything. His wife, Mae, was an active philanthropist in the local Jewish community, helping the poor in the Maxwell Street ghettos. Leo himself was active in local events as well. Charming, funny, well-read and sophisticated with a taste for fine clothes, Leo moved through upper-class circles with ease–which made attracting wealthy investors even easier. It helped, too, that he’d brought his family into the Bayano Trust: his wife, siblings, and even his own mother were major stockholders in his company as well. Ironically, this helped reassure his investors that everything was on the up-and-up: a guy like that would never cheat his own family, right? “Surprised” didn’t begin to cover it. 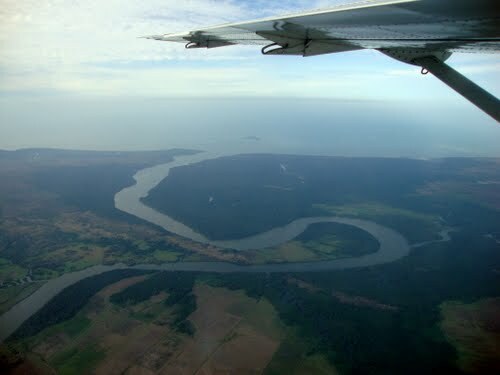 Rather than finding vast fields of timber and thriving oil production, his new employees were shocked and angered to discover that the Bayano River area Koretz had described in glowing terms was nothing but an “alligator infested swamp with timber growing on it”—and cheap balsa wood at that. The locals were equally surprised that anyone would have any interest in the area. “Why that,” one of them said, “is where we go alligator hunting.” As the Chicago Tribune wryly observed, while there were “plenty of alligators in Bayano river region, none of them spouted oil”—and no one there had ever heard of Leo Koretz. The men spent a whole week chasing down various leads, including names of businessmen the swindler had given them, but they all led to nothing. Leo’s entire enterprise was nothing but a pack of lies. While his employees were busy running around Panama, Leo was planning his escape. After liquidating as much of his assets as possible and stuffing $175,000 in cash (about $2 million in today’s money) in a suitcase, he fled to New York and reinvented himself as Lou Keyte, literary critic and reclusive millionaire. He lasted three whole months in New York without being spotted (pretty amazing seeing as he was widely known there and his disguise consisted of nothing but a beard) before deciding he’d be better off somewhere farther away from the law. 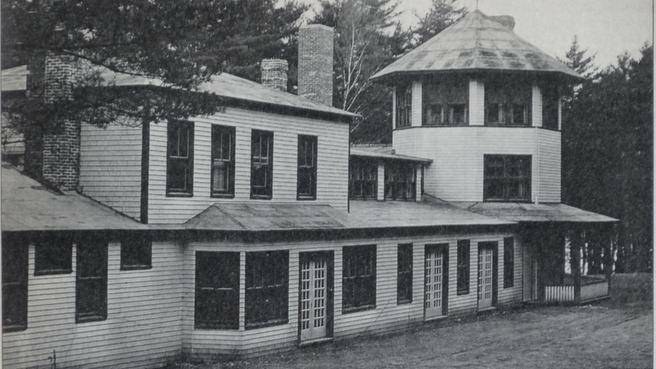 So he used some of his ill-gotten gains to purchase Pinehurst, a hunting lodge in Nova Scotia, just outside Halifax. However, rather than hunkering down like any sane individual and trying to live out the rest of his days in obscurity, Leo did the exact opposite: posing as a mysterious millionaire looking to settle down, he turned Pinehurst into a lavish mansion and made it into party central, hosting lavish feasts and drunken Gatsby-level revels—one of which was said to have lasted “four days and one week”! He wasn’t shy about displaying his wealth in other ways, either. As one Tribune article reported: “he had a habit of spending his money in a most spectacular manner, paying with bills of large denomination and often leaving the stores without waiting for his change.” Such lavishness and excessive parties didn’t exactly endear him to his new upper-class neighbors. While some loved his parties and generous spending, others found him gauche and actively avoided him. Either way, his behavior ensured that most people in the area knew of him by name—pretty amazing for a man on the run! Eventually Koretz’s brazen high life came to an end, but I don’t want to give everything away here—especially since the slow, careful unfolding of Koretz’s rise and fall is one of the many pleasures of Dean Jobb’s compelling new true crime book, Empire of Deception: The Incredible Story of a Master Swindler Who Seduced a City and Captivated a Nation. Jobb is an award-winning journalist and professor of journalism at the University of King’s College in Nova Scotia. Koretz’s crazy story is a longtime personal interest of his, something he’d been researching off and on since he first heard about the case in the 1980s while thumbing through the yellowed index of Nova Scotia’s public archives. He wrote some other articles on Leo’s life and times, including this more recent one at The Walrus, but Empire of Deception is by far his most complete and compelling retelling so far. While the twists and turns of Koretz’s story are fascinating in their own right, Jobb’s excellent writing really makes the material shine. His reporter’s eye for vivid details and engaging pacing consistently keeps the reader on the edge of their seat, wondering to the last moment if Koretz will get away with everything in the end. But he’s also careful to bring in just enough historical context for the reader to understand the magnitude of Koretz’s scheme and its impact without getting bogged down in tedious historical detail. Koretz’s antics can’t save everything in this book, however. One place where Jobb falls flat in Empire is his attempt to incorporate the rise and fall of Richard Crowe, Chicago’s hotshot District Attorney throughout most of the 1920s. 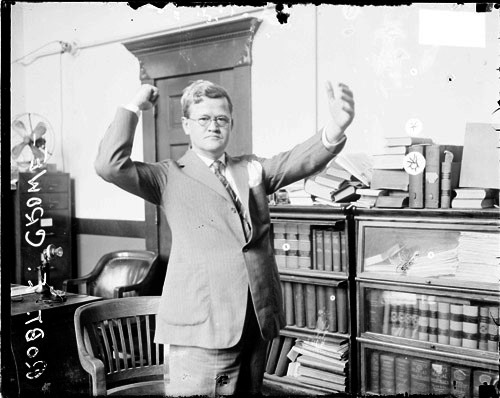 The man who famously prosecuted Leopold and Loeb, Crowe was a force to be reckoned with in the courtroom. Throughout Empire, Jobb alternates between the two men’s stories, but he fails to make a serious connection. Aside from briefly working at the same Chicago law firm early in their careers (with no evidence that they ever even met or knew of one another) and Crowe overseeing Koretz’s capture and prosecution from afar, the two plot threads never feel like they really belong together. In the end, I felt Crowe’s thread was completely unnecessary; Jobb could have explained his background once he got to Koretz’s trial and ended it there without harming the overall narrative. Chicago Tribune reviewer Bill Savage agrees with me, it seems. While “at first, this pairing seems to make sense, as the two men have a great deal in common: immigrant backgrounds…ambition…and legal careers…coincidences do not meaning make, and Crowe’s narrative does not balance well with Koretz’s…the shifts in focus…prove to be the book’s main weakness,” Savage says. My other quibble with Jobb’s book is much smaller in scope: namely, the explanation of Koretz’s motive for his scam—or the lack thereof. Despite sprinkling the narrative with excerpts of Kortez’s confessions, which include tantalizing half-truths, I felt I never had a good understanding of exactly why Leo did what he did. While bits of his confession seem to imply that perhaps Leo didn’t know why he did it either, I found Jobb’s lack of outside explanation disappointing. I kept hoping that someone—either a 1920s psychologist, the Tribune reporters who followed his story, or perhaps even a modern psychologist—would offer commentary on WHY Leo scammed all these people, or give some context to frame his behavior outside of con men. As I’ve read in another book, con men largely did what they did simply to make ends meet, and even the thrill of snagging a “mark” paled over time. I found a lack of explanation particularly troubling given that Leo chose to involve almost his entire family in his scam and seemed to feel very little remorse for ruining their lives when the bubble burst—not to mention his marriage, seeing as he used his fake company to cover up his numerous affairs. Greed seems to be far too prosaic a motive for Leo’s behavior, given the scale and aplomb with which he managed to pull everything off. I suppose one could call him a sociopath, but that doesn’t seem to fit the picture Jobb paints of him, either. Regardless, given that we’ve had many instances of people screwing other people out of money lately (the Great Recession, anyone? ), I felt Jobb also missed an important opportunity to connect Koretz’s story to current events in American history. He chose not to, though, instead sticking to the facts of Leo’s story. While this is fine in articles, the lack of analysis seemed a bit light for a book-length manuscript to me. Ultimately, however, these are minor quibbles. 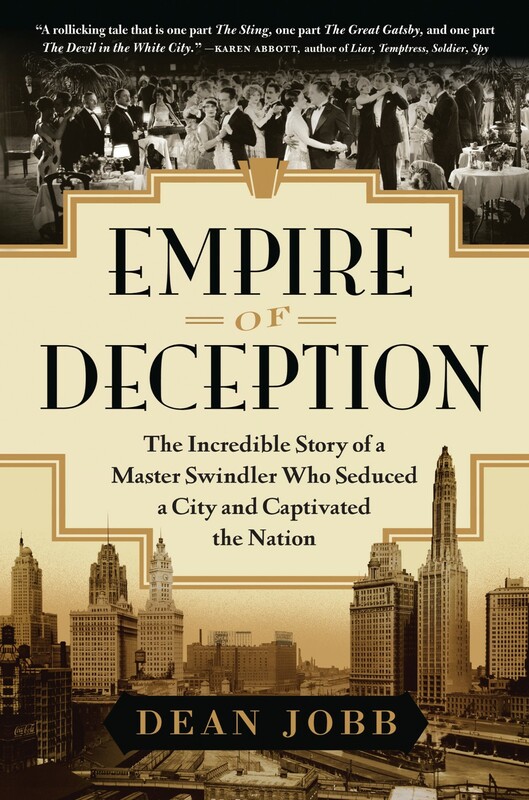 Jobb’s book is a solid, quick read that is a fascinating account of a little-known Chicago swindler who deserves to have his story told, and Empire does much to rectify that. Perhaps all that really matters, then, is that Jobb saw fit to tell Leo’s story—and it’s a story that deserves to be told, and read, by everyone. If you liked Empire, try Ponzi’s Scheme by Mitchell Zuckoff. Naturally, it charts and rise and fall of Charles Ponzi and the international stamp scheme that made him famous. There’s also the full text of his autobiography here. Jobb relied heavily on newspaper accounts to tell Koretz’s story. If you have access to a Chicago Tribune newspaper archive, you can follow Koretz’s entire story as it unfolded over time. It’s pretty fascinating. 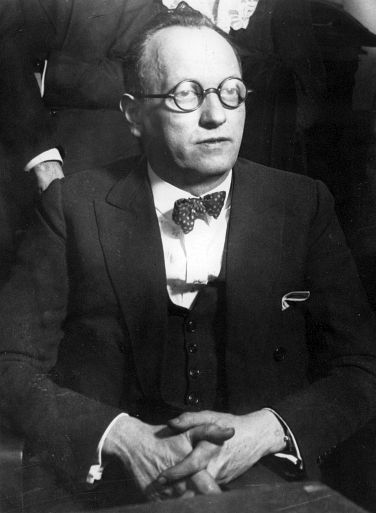 Just type in “Leo Koretz” and narrow your dates from 1920 to 1924, and that should nab everything. This entry was posted in book reviews and tagged 1920s con men, book review, Dean Jobb Empire of Deception book review, Leo Koretz. Bookmark the permalink. Enjoyed your book review! I’m looking forward to reading the book. Well, this is quite a story. And I’ve never heard of it before!